We’ve all heard about the seniors, the middle-aged, and the mature market. Cultural convention says youth is fun; maturity is not. But women ages 50-70 are the healthiest, wealthiest generation in history, and over the next two decades they will control the majority of the purchasing power in the United States. These “PrimeTime Women,” as coined by gender expert Marti Barletta, are not gray, passive women, but energetic, vibrant women who consider themselves to be in the prime of their lives. According to Barletta, PrimeTime is a life stage, not a generation. Currently it’s the baby boomers that are moving through the PrimeTime window – and as we know, the boomer generation is unlike any other generation to date. Boomer women are the first generation to go to college and into the work force in equal numbers as men. They’re definitely not our grandmother’s generation. 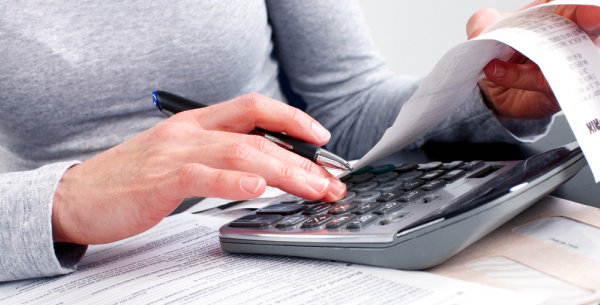 Consider this: Adults ages 50+ control 79 percent of all the financial assets in this country; and women in those households control 85 percent of all household spending. From 2006-2016, 96 percent of the growth of the U.S. adult population will be made up of people over 50. So do the math. Though conventional Madison Avenue wisdom is to target the young 18-34 demographic, these PrimeTime Women simply have more purchasing power. 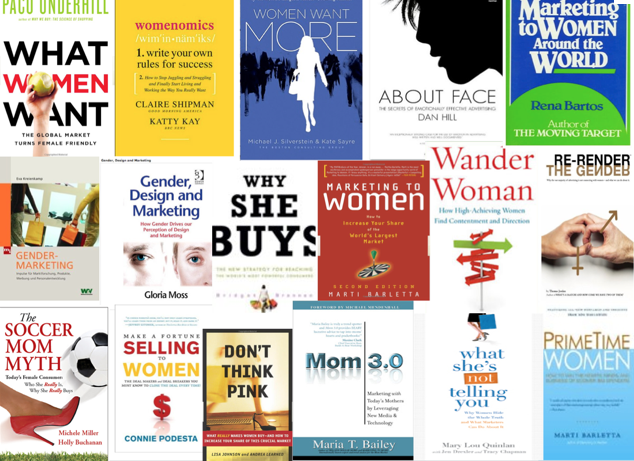 If marketers don’t make their brand relevant to PrimeTime Women and boost the effectiveness of their marketing communications, they can kiss their bottom line goodbye. And in order to be truly relevant, they need to take the time and effort to understand who this influential target really is. Single women on TV have historically been a reflection of our changing societal times. 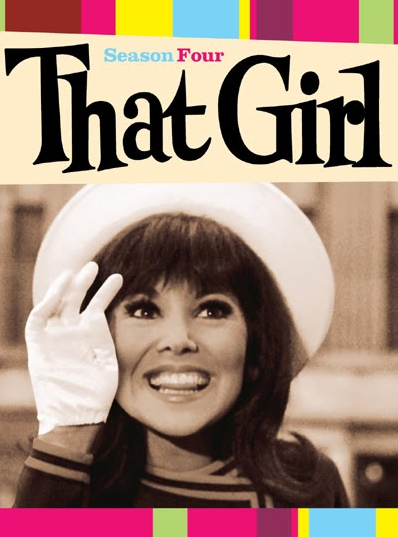 First there was Ann Marie – AKA “That Girl.” Then there were Mary Tyler Moore, Murphy Brown, Ally McBeal and Carrie Bradshaw. All unique women in life stages as complex as the times they were living in. These were not their mother’s daughters, but a whole new era of modern single women. Today’s women are responsible for in this country. A large segment of these women – 59 million to be exact – are single. Even with that staggering number, advertisers aren’t taking the time to learn how to speak to them or, more importantly, listen to them. Single women are not necessarily moms, and they’re definitely not married with children. They are as unique in their opinions, influences and buying habits as any other consumer group, and want to be recognized for the economic influence they yield. Marketers can let go of outdated stereotypes by listening to this group and exploring their unique lifestyle. Just as ad campaigns now reflect moms as multi-faceted with many things going on in their day besides doing laundry or cooking dinner, brands must recognize and reflect the ways in which single women choose to live their lives, and how their lifestyle influences everything from parenting and politics to shopping and brand loyalty. Pinterest now has more than 11 million unique monthly users. Eighty percent of those users are female, and they are spending more time there than on Twitter, LinkedIn and Google+ combined. South by Southwest Interactive officially drew to a close last week with the 15th Annual Interactive Awards, where Pinterest received the “Breakout Digital Trend” award. 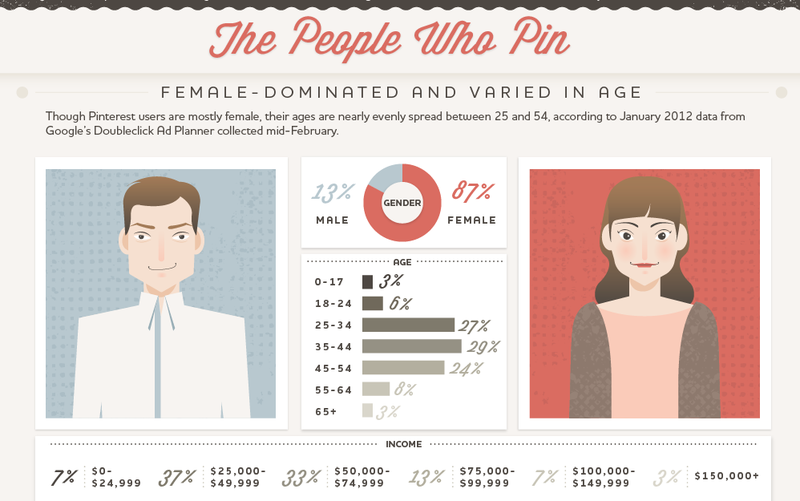 The infographic below shows just how powerful social media marketing with Pinterest is, and how five brands are using it. What opportunities does Pinterest afford your brand?